Arthritis is a chronic disease which affects the joints of the body both large and small joints. These diseases are a common cause of discomfort and disability. Seek a medical opinion early if you have pain or discomfort in joints or backache. Early diagnosis and treatment reduce disability. Exercise regularly, restrict alcohol and smoking, maintain an ideal body weight and take a balanced diet, adequate sleep – all help todevelop healthy bones and joints. Being progressive in nature these diseases require adequate and timely interventions to reduce and delay chronicity. 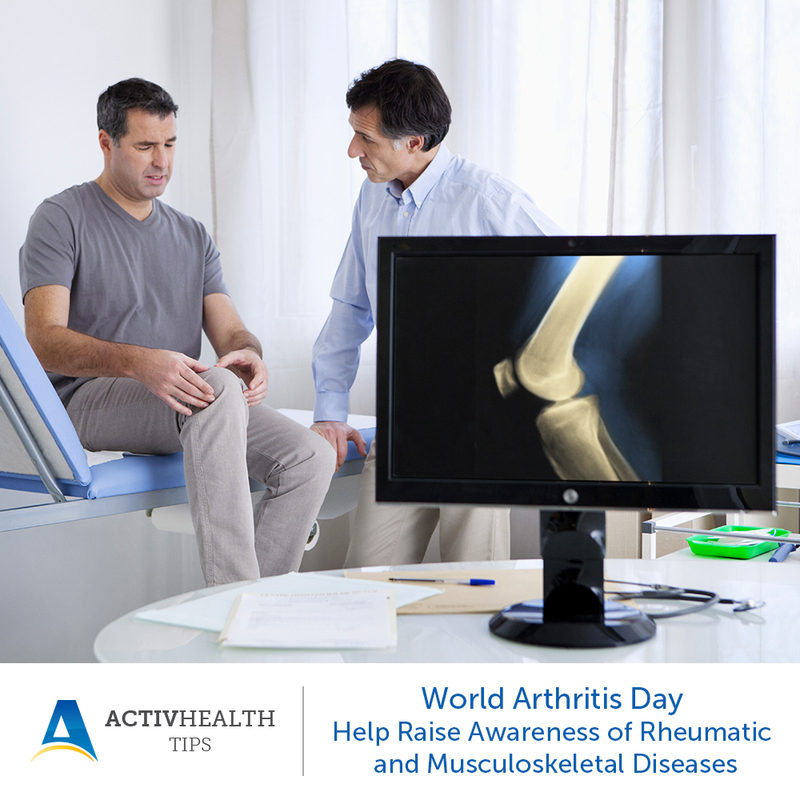 This year World Arthritis Day is being celebrated with the theme “It’s in Your Hands, Take Action”. The aim of celebrating this day is to raise awareness of rheumatic and musculoskeletal diseases (RMDs). Rheumatic and musculoskeletal diseases comprise over 150 diseases, which are progressive in nature and are associated with severe chronic pain, joint damage and disability. It represents degenerative, auto-immune and inflammatory conditions affecting millions of people around the world. Broadly it can be categorized as joint diseases, physical disability, spinal disorders and conditions resulting from trauma. Rheumatic and musculoskeletal diseases depend on your age, occupation, activity level and lifestyle. You have to visit your doctor immediately, when you do start to develop arthritis. As it is a progressive disease, meaning longer wait can lead to severe problems in your bones.